Despite this message, our testing did not reveal any issues with the StageScape app on iOS 10. 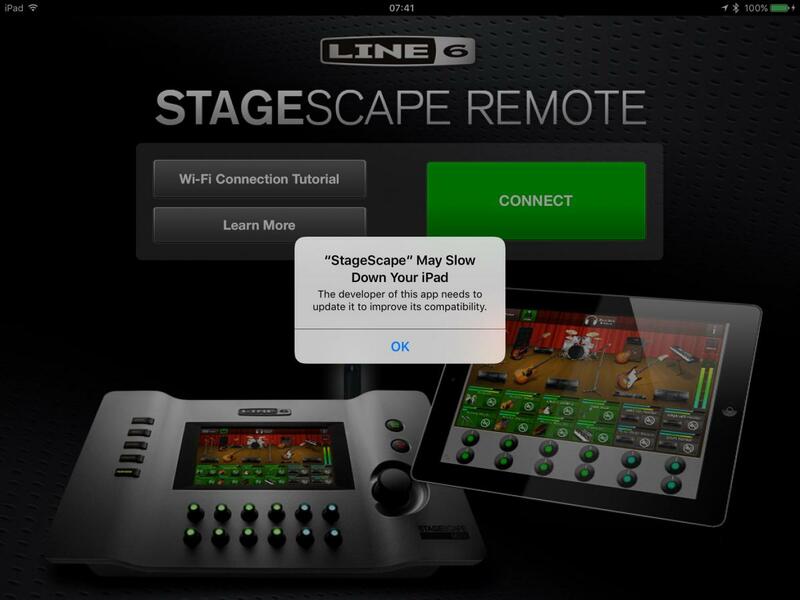 In any event, Stagescape Remote 1.21 resolves this issue. With this update, Stagescape Remote will work with iOS 11 (and above) and the warning that the app needs to be updated will no longer appear.